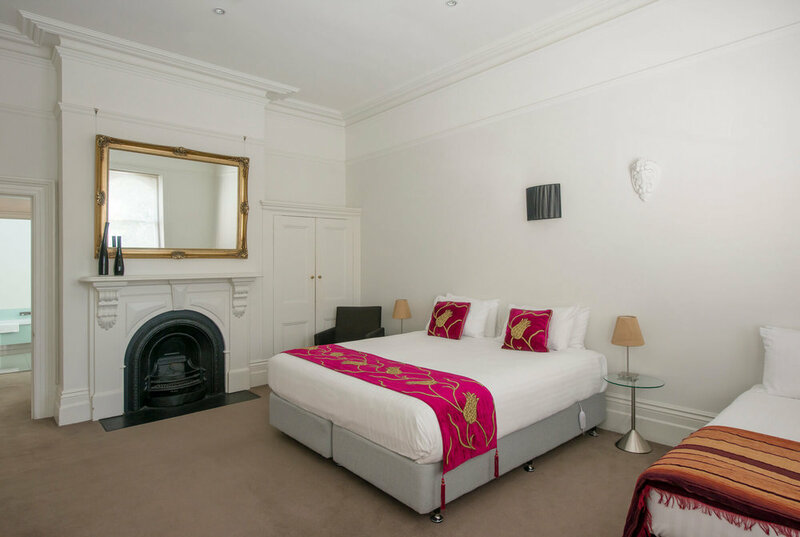 Stay in Hobart accommodation, close to the CBD and Tasmania Attraction. 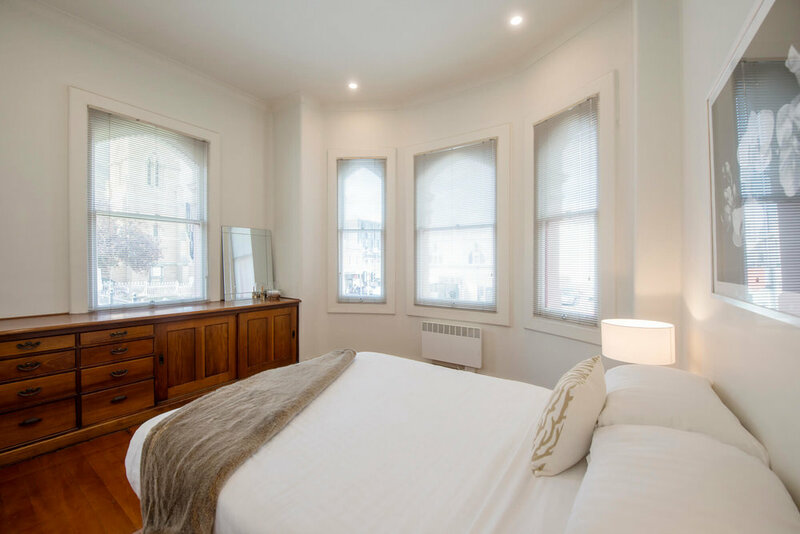 The historic Roxburgh Apartments make your stay relaxing with the ease of many facilities, including wifi and laundry access. Check out the floor plan for layout and bedding configuration. The master bedroom has a king-sized bed (which splits into two singles if required) plus a single bed; the second bedroom a queen bed; and the third bedroom has a single bed. There is also a double sofa bed in the large dining/family room which is separate from the living room etc. There are two bathrooms. The open plan kitchen/dining/family room is large and family friendly. 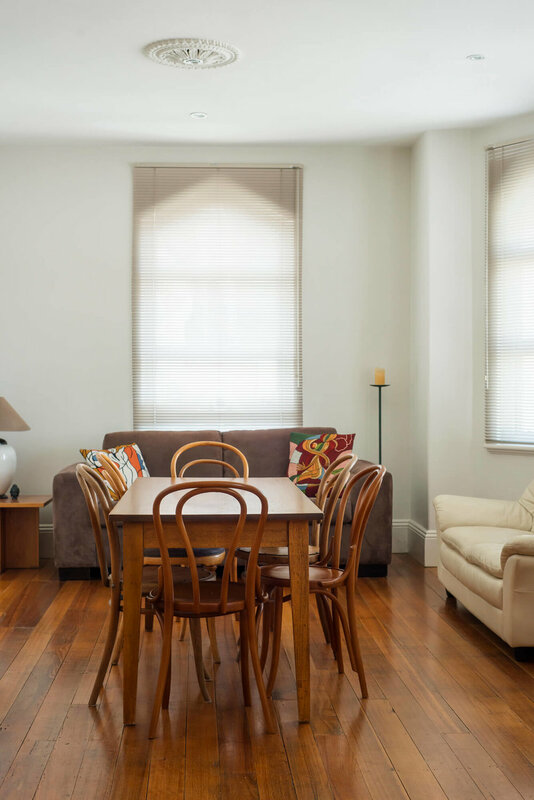 The adjacent sitting room has a full entertainment system - Flat screen TV and DVD player. There is also a private balcony where you might relax with a glass of fine Tasmanian champagne and enjoy views of the garden below and the city. Very Italian! With its high ceilings and spacious rooms, the ambience of this old building will appeal to travellers seeking space, grace, comfort, security and privacy. Cooking: Fully equipped kitchen, crockery/cutlery, dishwasher, microwave, Smeg oven and induction cooktop, refrigerator/freezer.